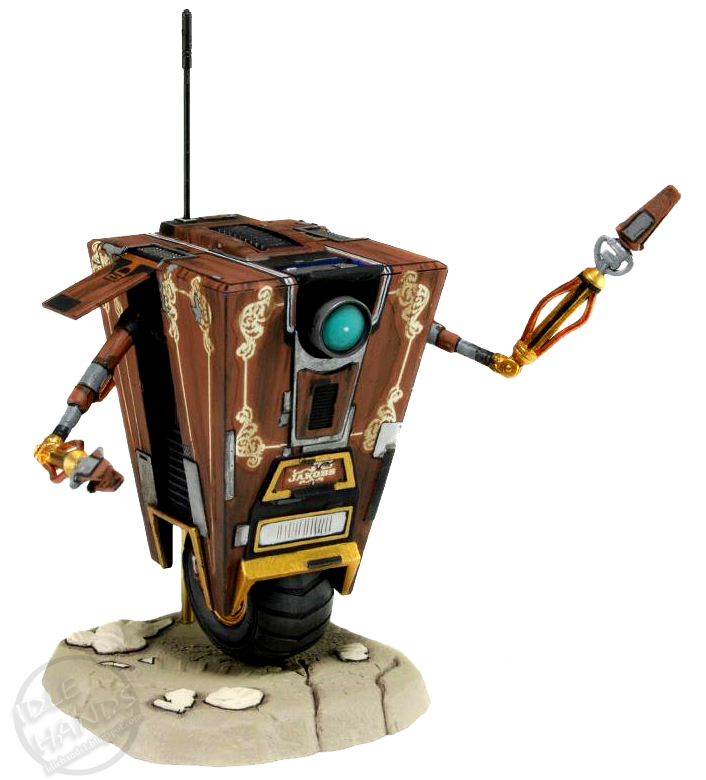 Jakob's Claptrap has wood paneling with brass decorations, following the traditional, old fashioned Jakob's aesthetic. The figure includes a display base and is fully poseable, featuring an all new, unique decoration to simulate the wood grain finish. Intricate decoration and tampo printing process re-creates this special version of Claptrap seen in both Borderlands 1 & 2. 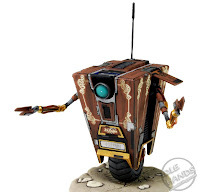 Look for Jakob's Claptrap this June! The Hobbit: The Desolation of Smaug Footage! Biting Elbows - "Bad Motherf*! @$r"